Infinite Art Tournament: Happy New Year! 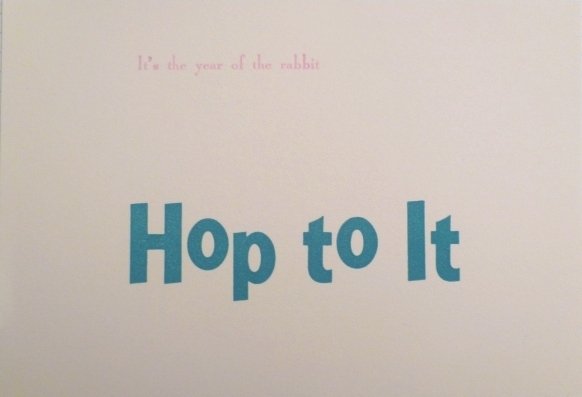 It's the year of the rabbit! Image: the Yearly Chinese New Years Card from L&TM5K letterpress/tango consultant Margaret. Badly photographed by Michael5000. I knew it would be a challenge to photograph, but you done good. More carrots for you! we got one of these, too! thanks, margaret!